"That’s not the measure of whether racism still exists or not. It’s not just a matter of overt discrimination." 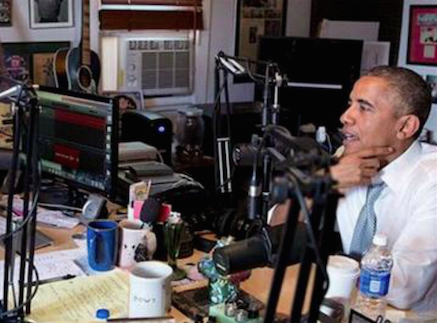 While in Los Angeles last week, President Barack Obama joined comedian and host Marc Maron on WTF Podcast to chat on a number of issues facing modern America–including gun violence, college, fatherhood and the status quo. However, one topic in particular seems to have caught the Internet’s attention. During a discussion about race relations in America, the President candidly evoked a racial slur to drive home his point that the country is not “cured” of racism. “And it’s not just a matter of it not being polite to say ‘n****r’ in public. That’s not the measure of whether racism still exists or not. It’s not just a matter of overt discrimination,” he said. Listen to a portion of the interview, courtesy of WTF Podcast (via Politico).